You don’t have to wait to put flavor on your dinner table! 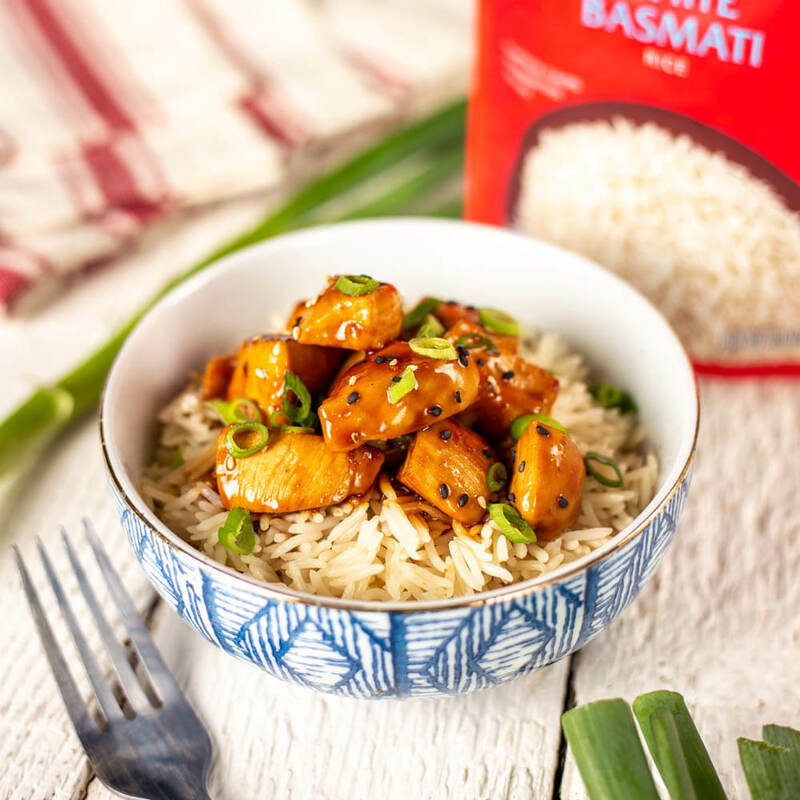 With Royal Ready To Heat Basmati Rice, dinner can be on the table in no time with this recipe for Chicken Teriyaki! 1 package Royal Ready to Heat Jasmine or Basmati rice, cooked according to package directions. Season chicken breasts pieces with salt and pepper. Cook over medium high heat until cooked through. Remove from pan and set aside. Heat ½ cup teriyaki sauce in the pan until thick and bubbly on medium high. Add in cooked chicken, toss and coat. Prepare Royal® Ready to Heat rice according to package instructions. Plate over ready to heat rice garnished with thinly sliced green onions and sesame seeds.